Announcing Our NEW Part-Time Software Engineering Program! 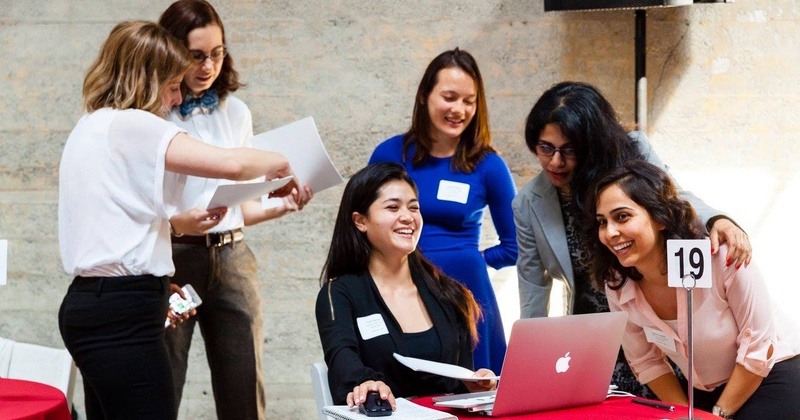 We’re thrilled to announce Hackbright’s Part-Time Software Engineering Program. Same intensive curriculum as the Full-Time Program, but in a convenient evening and weekend format. How is it different from the Full-Time Program? The Part-Time program is the exact same curriculum as the 12-week, Full-Time Program, but covered over 24-weeks in a convenient evening and weekend schedule, providing you the flexibility to learn to code and keep your day job. You’ll learn the fundamentals of computer science, modern web development, Python programming language, and spend time building your own app as well as participating in pair programming with your fellow students. At the end of 24-weeks, you’ll think like an engineer, and be prepared to tackle a new professional challenge. The Part-Time Program is held Tuesday and Thursday evenings from 6pm – 9pm, and Saturdays from 10am – 6pm. Similar to our Full-Time Program, you’ll spend evening sessions with an in-depth lecture, followed by hands-on programming and lab exercises to put the theories to practice. On Saturdays, the schedule is filled with meetings, lectures, independent project work, and time for one-on-one support from our education team. We believe that a supportive and open environment is key to success, so each day also includes open office hours and time to network with your fellow students. Our instructors, mentors, and advisors are always available for additional support. We’re excited to offer this new program option to empower women to level up, switch careers, and #changetheratio in tech. Join us in our mission to provide more women the skills they need to become software engineers. Interested in learning more? Check out our upcoming Prep Course and our 12-week, full-time or 24-week part-time Software Engineering Programs.